Thanks to The Great Wolf Lodge for hosting us. As always, all opinions in the post are my own. 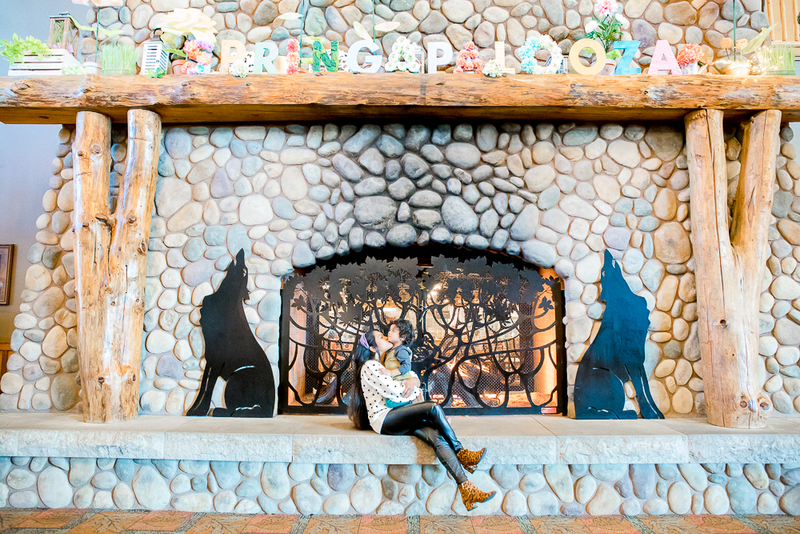 Our family of 3 was recently invited to the Great WolfLodge in Grand Mound, WA to preview their most awaited fun-filled spring affair, Spring-A-Palooza (hosted at Great Wolf Lodge locations nationwide between March 16 – April 28, 2019). To say that we all had a howling great time is most certainly an understatement. I am still not sure who had the most amount of fun though, our kid or us parents? Wait, who am I kidding? We became kids ourselves and we splished and we splashed alongside our kiddo in the 84-degree waterpark and created some of the best memories that we will all cherish for a lifetime! 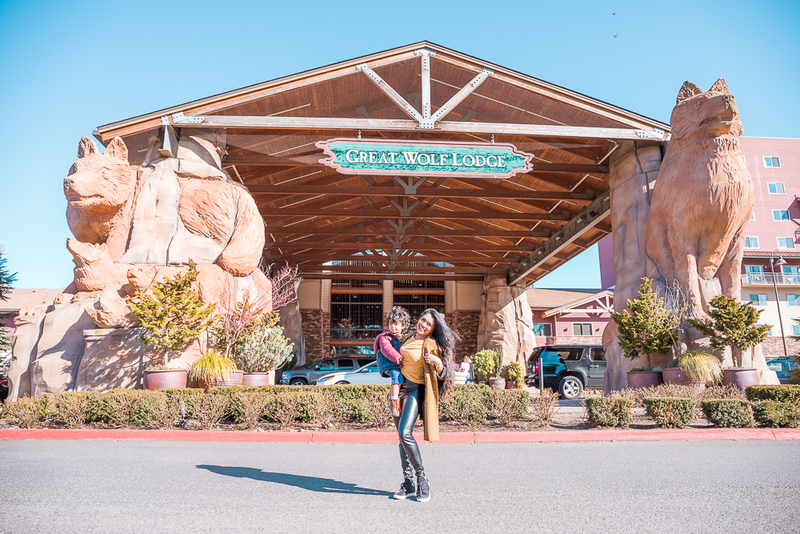 Great Wolf Lodge is surely a first-class, full service, year-round family destination resort which extends far beyond the waterparks and offers popular amenities all under one roof helping families like us create family traditions, and everlasting family memories. 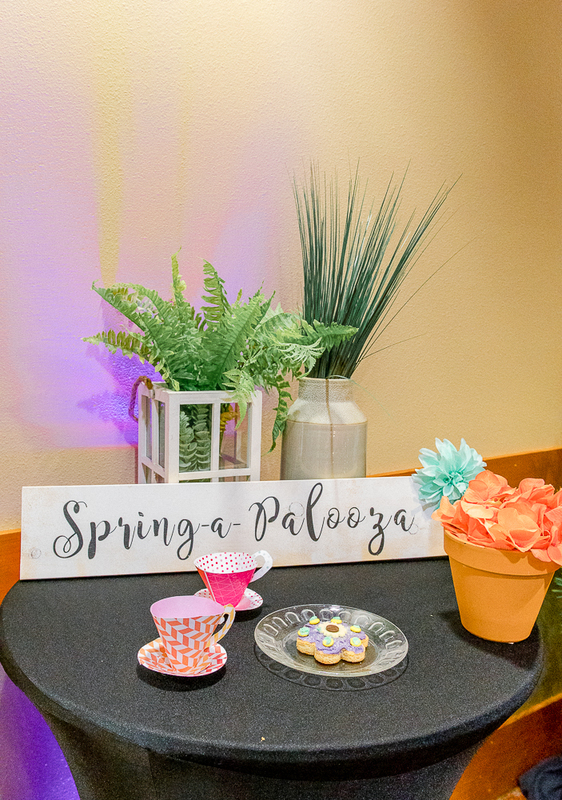 Spring-a-Palooza is a 6-week long party (for the lack of a better word ;)) when the resort comes into full bloom and welcomes the new season in style to celebrate all things spring! 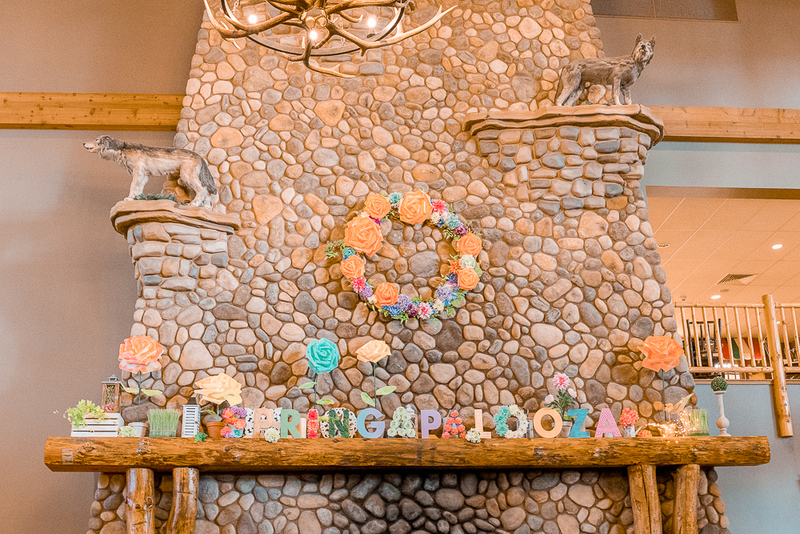 The Grand Lobby at the resort is Spring-A-Palooza central with all kinds of vibrant and colorful spring decorations including a special character-themed garden for the kids to explore. 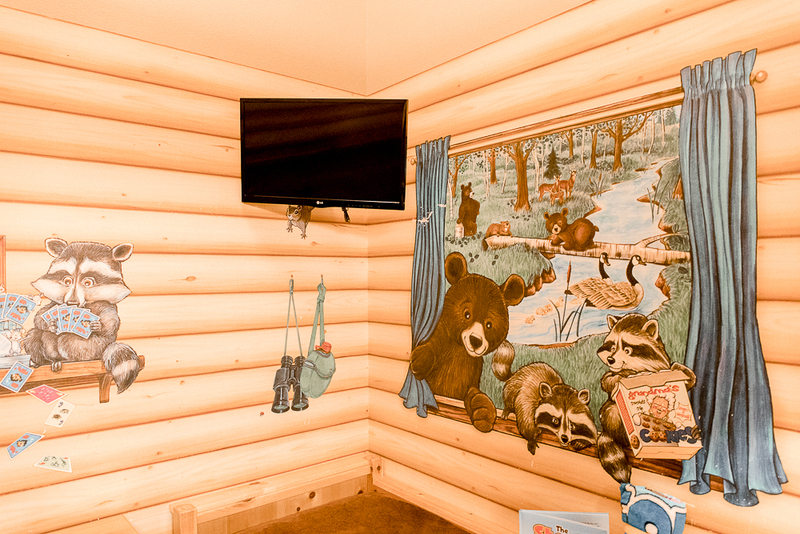 Other corners of the lodge and guest suites are also decorated in the spirit of the spring season. 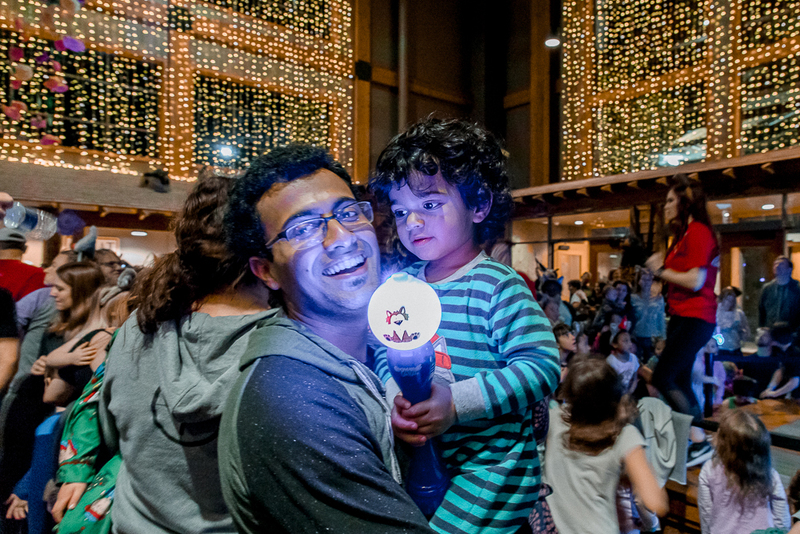 During these 6 weeks, there are also additional entertainment options and special spring-inspired activities and events for the guests to partake in and enjoy. 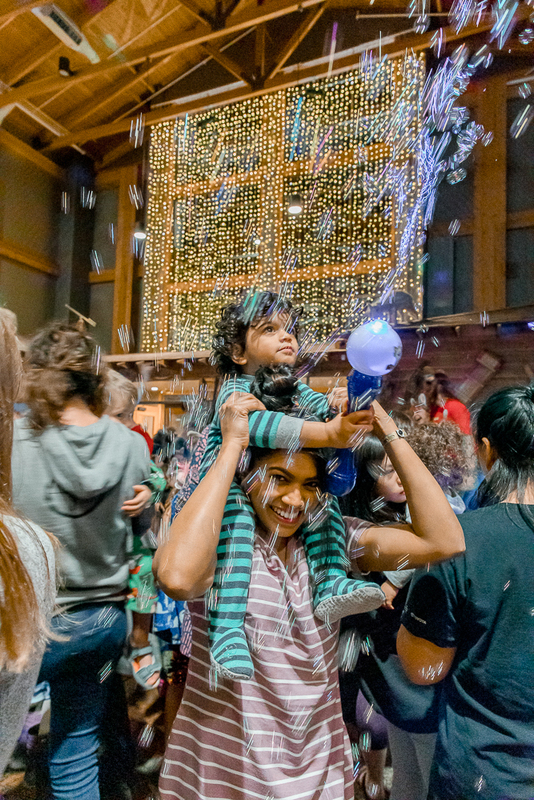 I mean, who could say no to a bubble dance party with your kids to some upbeat music, or a special character-led tea party and cookie decorating, amirite!? 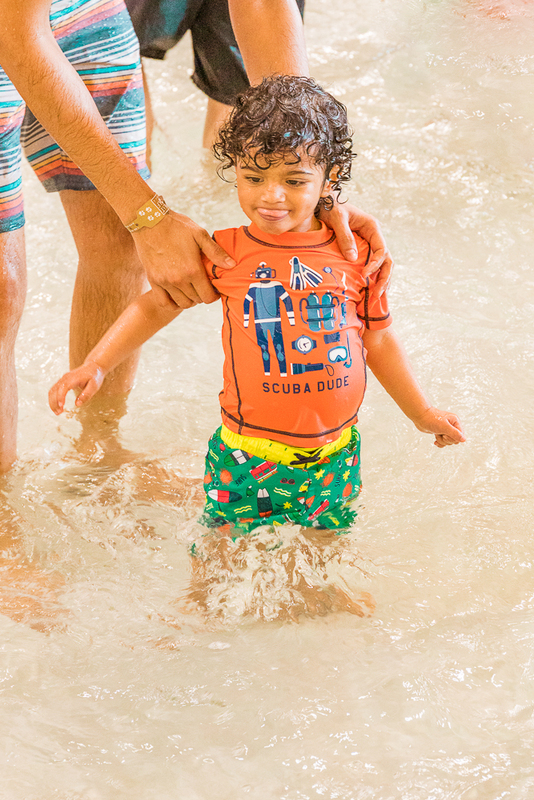 Aarush LOVES LOVES LOVES water (drinking water, playing in the water, or just simply lazing in the water, takes after his mama after all ;)) so we could hardly wait to bring him to the oh-so-popular Great Wolf Lodge. And boy oh boy, our time at the resort not only confirmed that he is a water baby through and through - he didn’t want to leave the water park despite being uber tired from riding the waves, literally and figuratively, sliding down slides, and going all ‘splash, splash, splash’ full-on energetically while in the water, but also made us realize just how much he also loves the bazillion other (non-water related) activities that are available in the resort for everyone to explore, play, and enjoy, kids and adults alike! 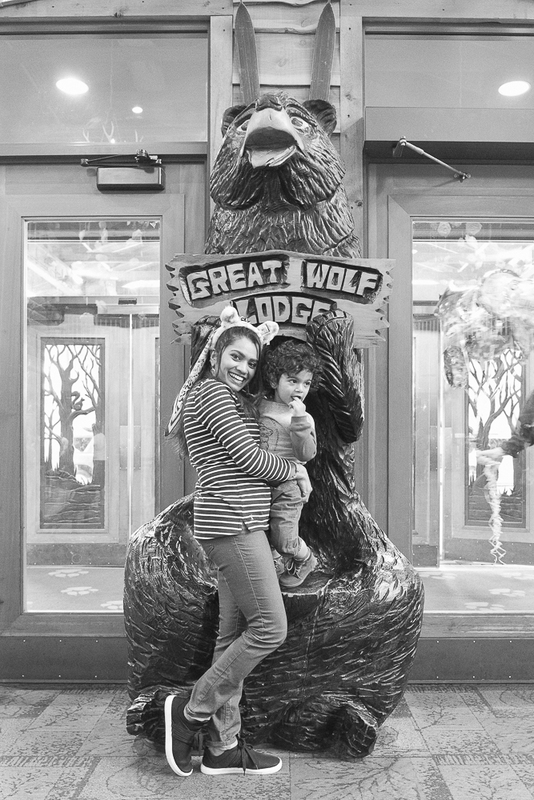 Now that you have seen (if you have already watched my Instagram story highlights) and heard me go on and on and on about The Great Wolf Lodge and how amazing it is and why you must plan a visit with your family, pronto. One word of caution though - you could spend an entire weekend at the resort and still not have done it all or seen it all given how many activities are offered throughout the day and how much there is to explore. 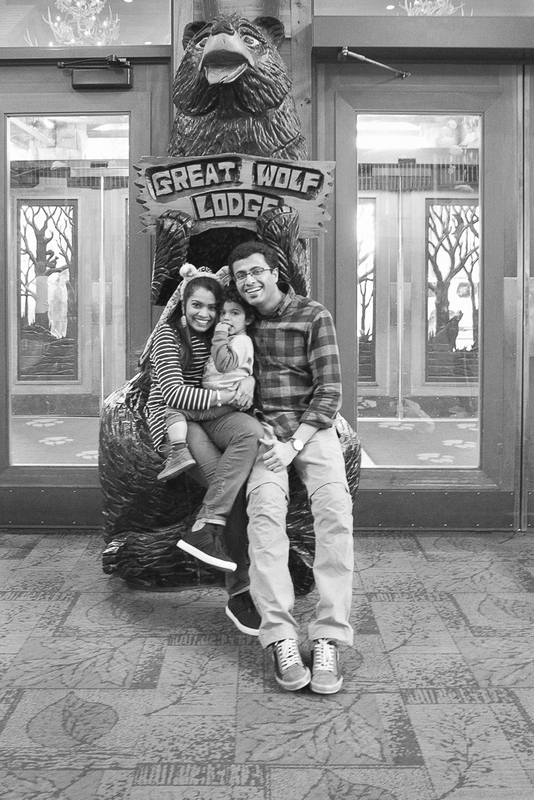 Great Wolf Lodge has locations nationwide. 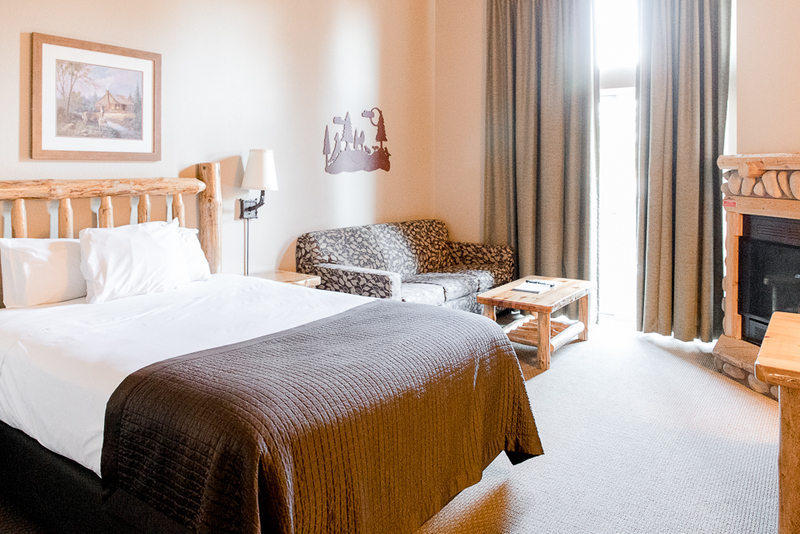 Look up the one closest to you and book your stay. Plan your trip such that you reach the resort around 1pm on the day of your check-in. Even though check-in time is at 3pm you are welcome to drop off your bags at the lobby starting at 1pm and jump right into the middle of the water park (or whatever you fancy ;)). Same goes on the day of check-out. Check-out is at 11am but you are free to use the facility all day and take a quick shower in the common bathrooms before you make your way back home. 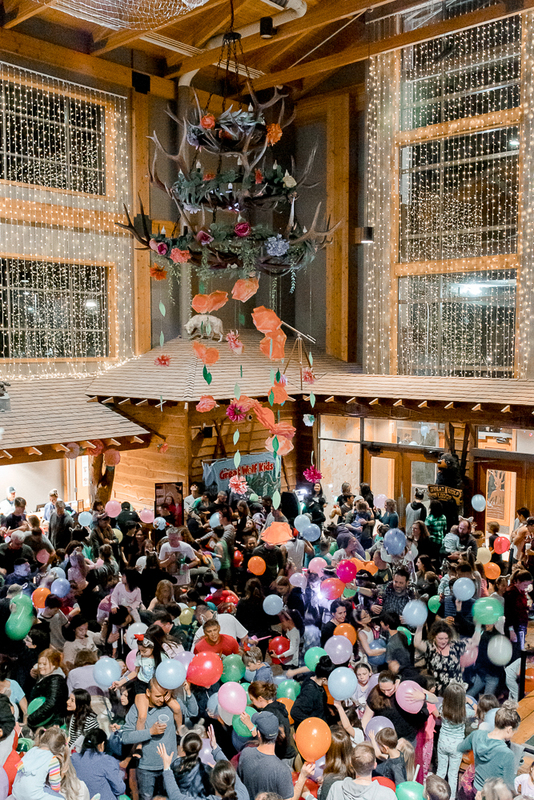 P.S: Dress the part as soon as you check-in, aka, grab your wolf ears and have the best time of your life! Bring summer clothes and comfortable shoes. The inside of the resort always feels like summer no matter how cold it is outside (even if it is snowing). Plus, there will be a lot of walking indoors as you make your way from one activity to another. So along with swimsuits and flip-flops also carry shorts, dresses, cover-ups, and walking shoes. 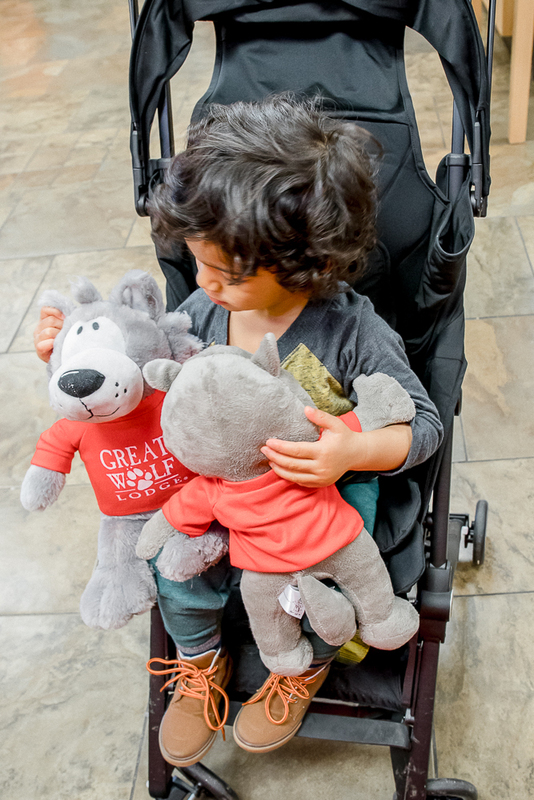 Plus, a stroller for your kiddo (depending on their age), trust me it comes in handy when they are super tired from playing in the water and no longer want to walk/run (like they always otherwise do hehe). Also, don’t forget to pack some fun PJs, trust me, you will thank me later! 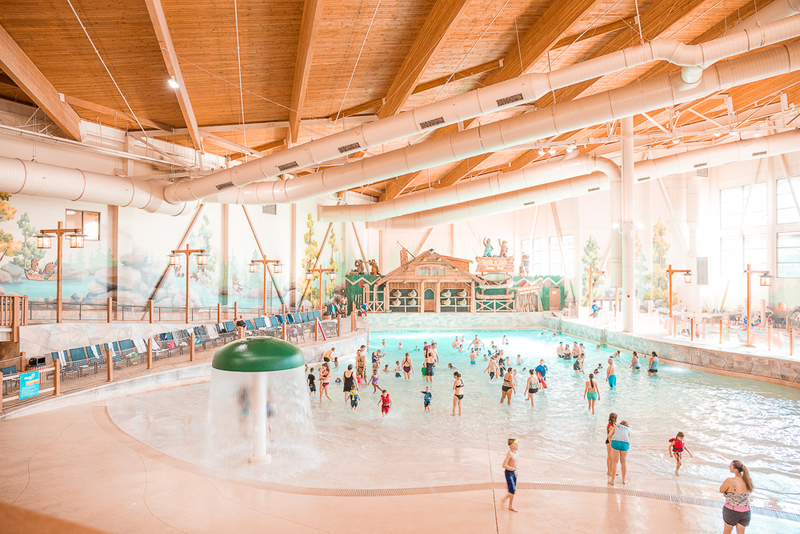 Entry into the indoor water park is included with an overnight stay at Great Wolf Lodge. The water park is maintained at 84 degrees year round and hence the place to be no matter the time of the year, especially during the cold and long winter months. 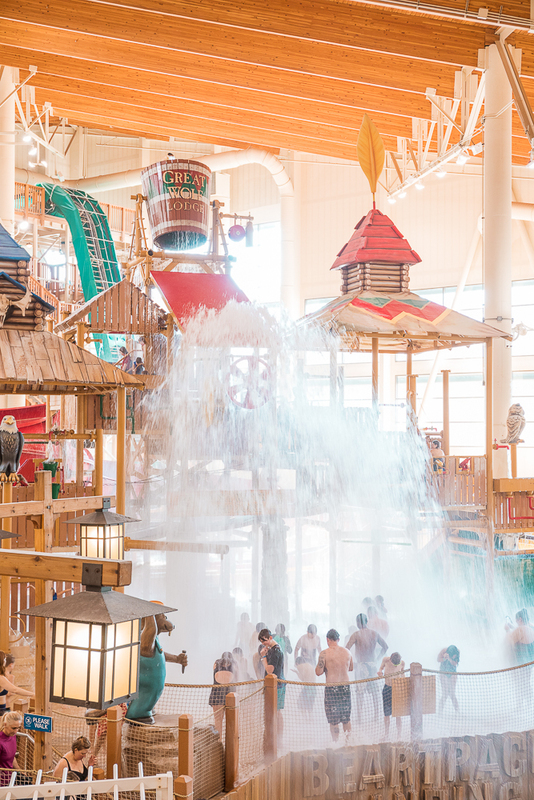 From wave pool to howlin’ tornado to everything in between there is something for all ages. Pro Tip - plan your water activities such that one of the parents’ plays in the water with the kids while the other gets their adrenaline fix. Vinay and I spent time together with Aarush in the water first and then took turns to go on a few rides by ourselves (and hence no pics. Plus, we didn’t bring the camera with us for the most part). Our absolute favorite ride was the howlin’ tornado, that adrenaline rush though! If you want to go on some of these popular rides then be prepared to wait in long lines before you get your turn. The sooner in the day you get to these rides the shorter the lines will be. P.S: If you want to rest, refuel and rehydrate in-between your water adventures then rent a cabana for the day and grab a bite at the food joint on the same level as the water park. Instead of spending money to buy individual activities, opt to pay for the wolf pass package which gives you access to a variety of activities at a good discounted price. It works best to alternate between spending time in the water park and then explore other activities during some down time off of the water. P.S: Each location includes different activities as part of the pass so double check your location’s website for the latest before you purchase. They also have a variety of other packages available, check out more details here. 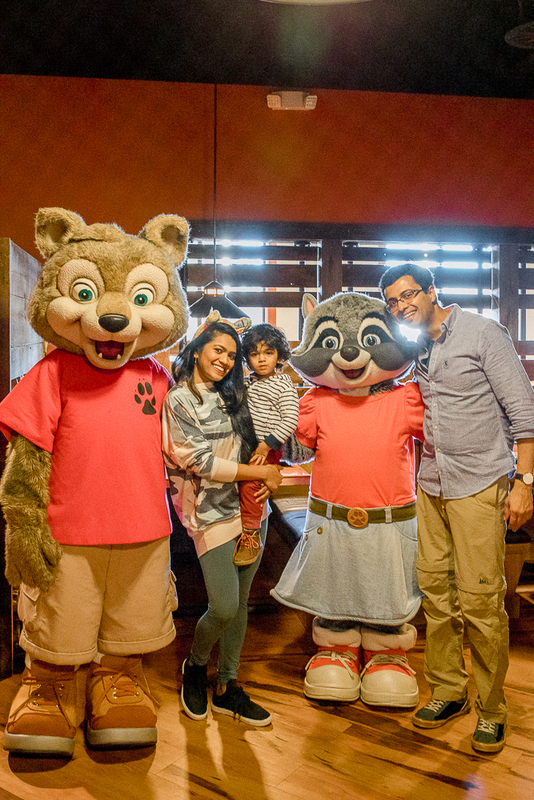 Between the water park activities, wolf pass activities, and other complimentary activities planned by the resort throughout the day there is plenty to do, and trust me, you will want to do them all! 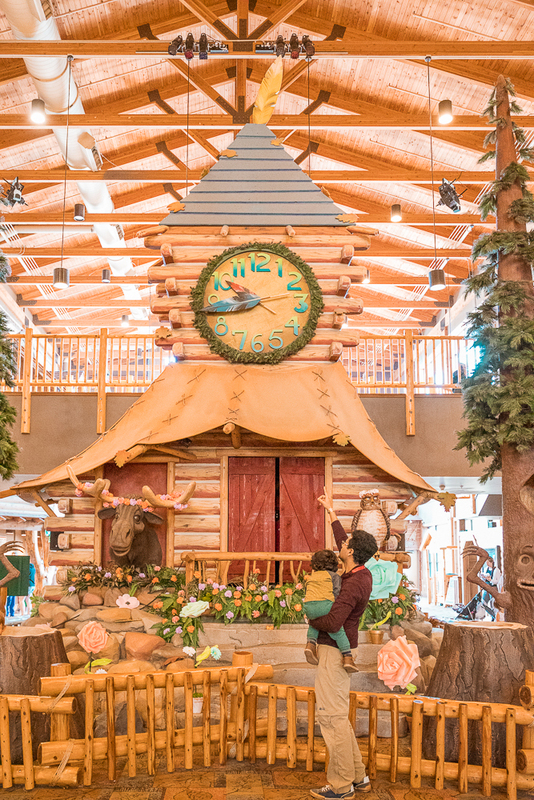 A complete listing of daily activities and times can be found in the Lodge Life event schedule provided to guests during check-in. 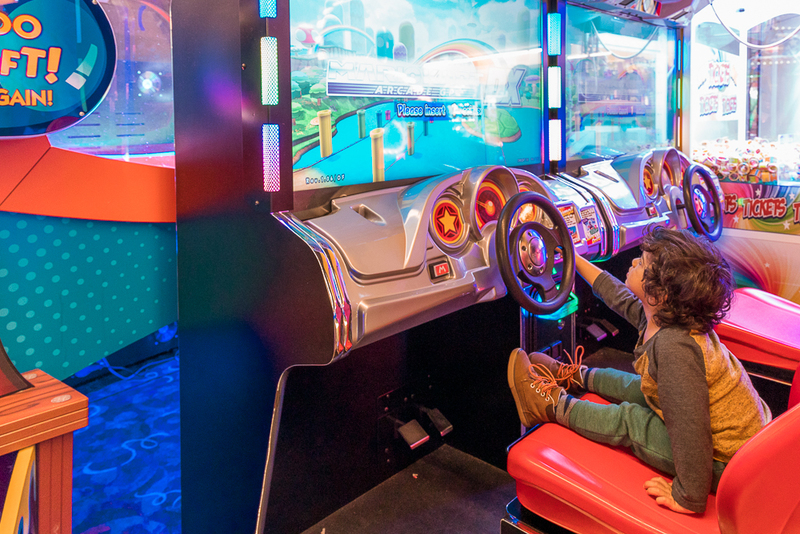 Or, check out the lobby and make note of all the activities for the day and create your plan of action and agenda based on your kid's interests. Also, leave enough time to change clothes as necessary when going from water to dry activities or vice versa. Great Forest Challenge - Complete unique challenges, collect points and compete against other teams in this physical forest adventure. Did I mention you don’t ever have to step outside the resort once you check-in, even for food! 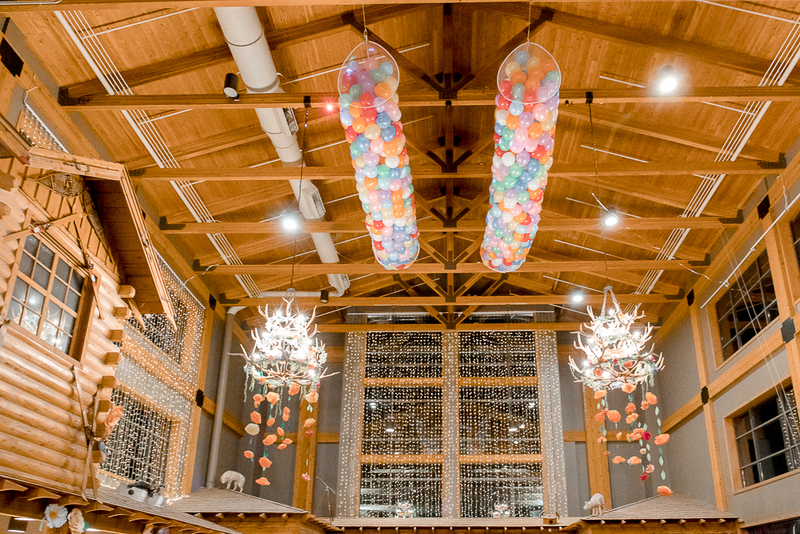 Yep, that’s true… Food is a huge part of your time at the Great Wolf Lodge and the chef takes great pride in the dishes they create (some items on the menu are apparently created by kids during a competition in the past, how fun!). Inside the resort, they have plenty of selections from gourmet buffet breakfast to pizza to ice cream to fine dining to freshly baked pastries to other sweet and savory treats to please both the kids and adults palates. My only gripe was that they have limited vegetarian options and I would definitely love for them to include more choices for people with dietary restrictions. 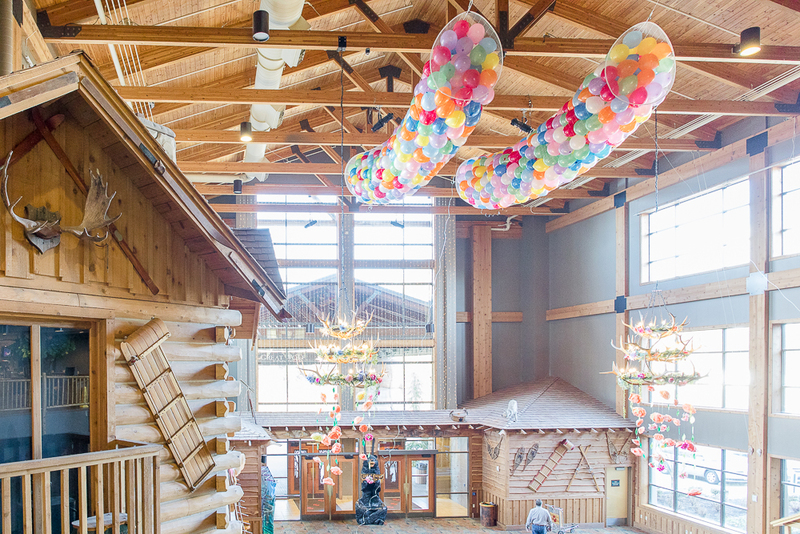 The Great Wolf Lodge hosts seasonal events a few times a year based on the time of the year, so plan your visit such that you stay at the resort during one of those events to have even more fun. Right now they are hosting the Spring-A-Palooza event, and later in the year, they host Howl-O-Ween (during Halloween), Snowland (during Christmas) etc. They always have plenty of special activities planned during these seasonal events. Northwood’s Tea Party with Violet & Friends: new for 2019, beloved wolf Violet will host a tea party. Violet and friends’ tea party will feature songs, dances, cookie decorating, crafts and games, and a special character meet and greet. 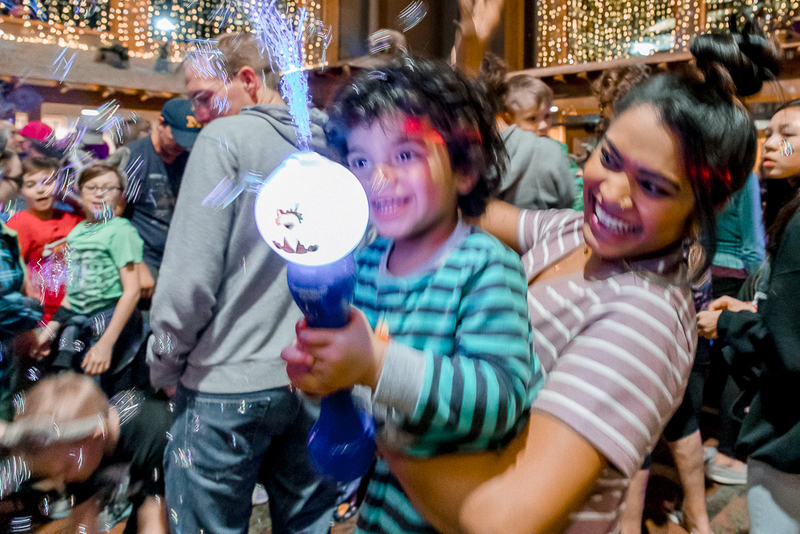 Bubble Dance Party: This special event fills the Grand Lobby with cascading bubbles while Great Wolf Lodge’s Ambassadors of Fun keep energy-levels high with a family-friendly dance party. Don’t forget to wear your jammies. 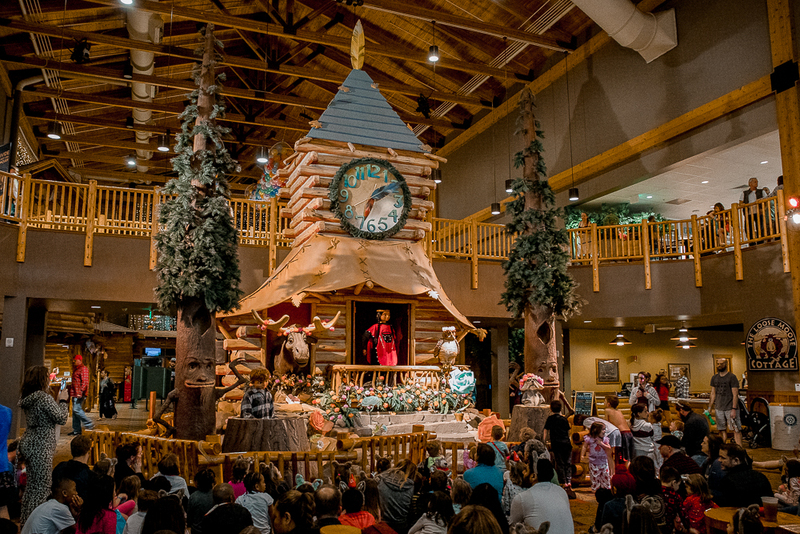 Spring-a-Palooza Story Time: Great Wolf Lodge’s nightly Story Time takes on a spring theme with a new tale featuring the Great Wolf Lodge characters called “Natural Wonders.” Also meet one of the Great Wolf Lodge characters in person. 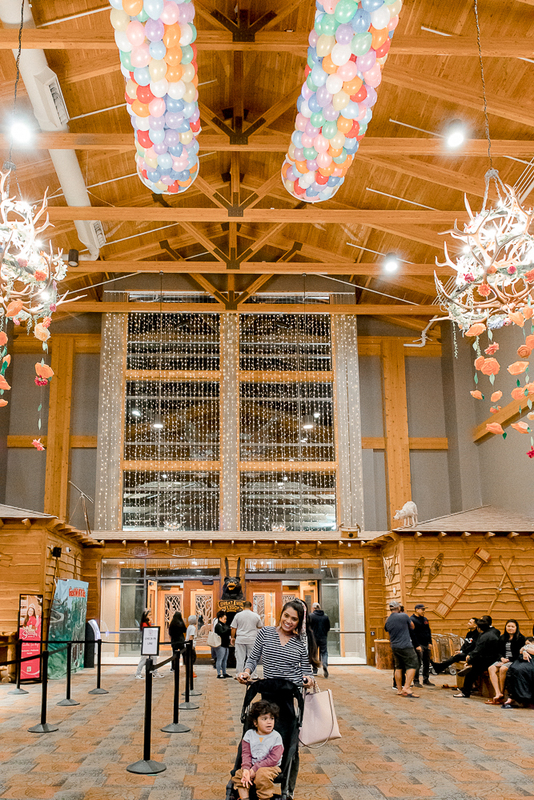 Jelly Bean Guessing Game: A gigantic jar filled to the brim with jelly bean candies sits in the Grand Lobby and guests can enter a contest guessing how many delicious treats are within the jar for a chance to win a Great Wolf Lodge Gift Card. 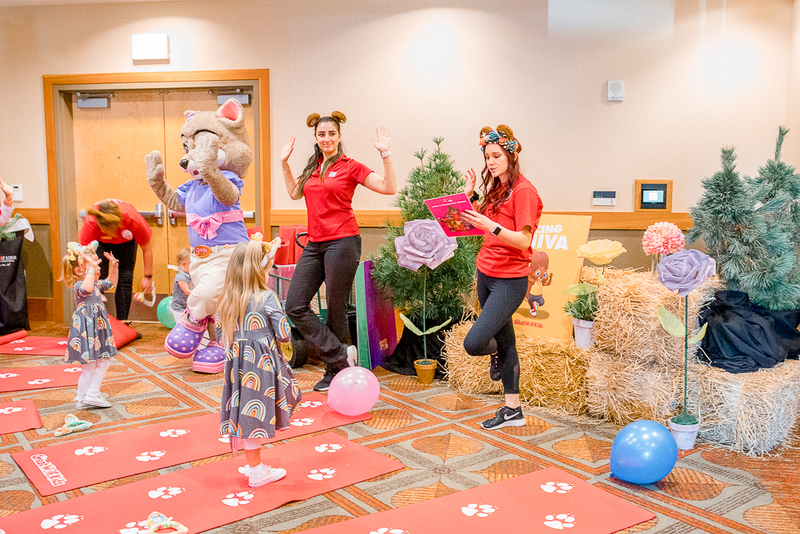 Spring Themed Crafts: The resort’s Ambassadors of Fun will host several spring-inspired craft-making events for kids of all ages. Character-themed crafting projects include Oliver’s Crazy About Bugs Jar, Violet’s Springtime Noodle Doodle, Brinley’s Don’t Blow Away Kite and Wiley’s Can You Spot It Binoculars. 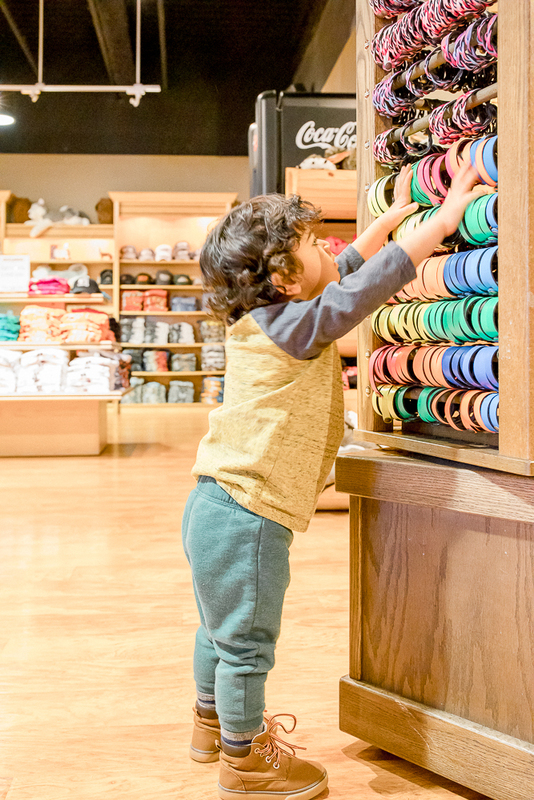 In case you forgot something (say swimsuit or other swim essentials), or even if you just want to buy gifts or souvenirs (tees, toys, apparel, etc) there are shops located inside the resort to make your shopping easy. I mean, which kid would not go all ‘waaa, waaa, waaaah’ while pointing at a toy indicating ‘I want this, NOW’!? 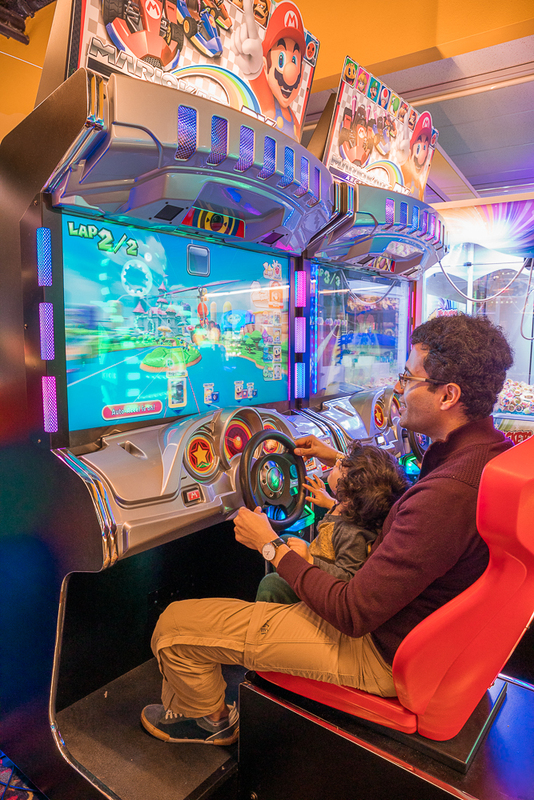 They not only have a dedicated adult's spa and salon, they also have one for the kids too (see below, I mean, can I pretty plz go to the kids spa instead of the adult's spa for some ice-cream themed facial, please!). They also have a fitness center in case you are not satisfied with how many calories you burnt by playing in the water and all the running around, go you! ElementsTM Spa Salon - Zen-like adult spa features massages, facial and body therapies, manicures, pedicures, waxing services and more. 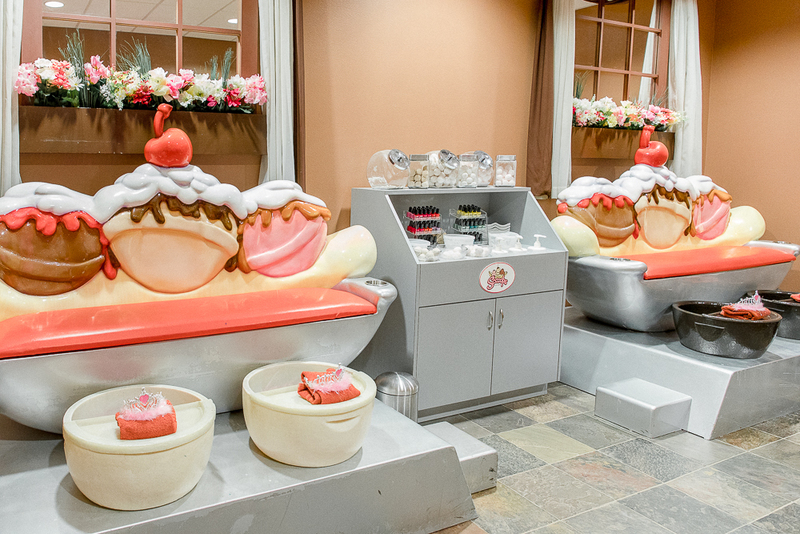 Scooops® Kid Spa - Kids can be spoiled with ice cream-themed manicures, pedicures, facials and more. There you have it, if this doesn’t compel you to book your stay at your nearest GreatWolf Lodge pronto then I don’t know what will. Actually, there might be something else too, go catch more action from our stay at the resort on my Instagram Story Highlights and I bet that there will be no stopping you. We for one can’t wait to go back, next time with a group of friends maybe, that should be even more fun!!! 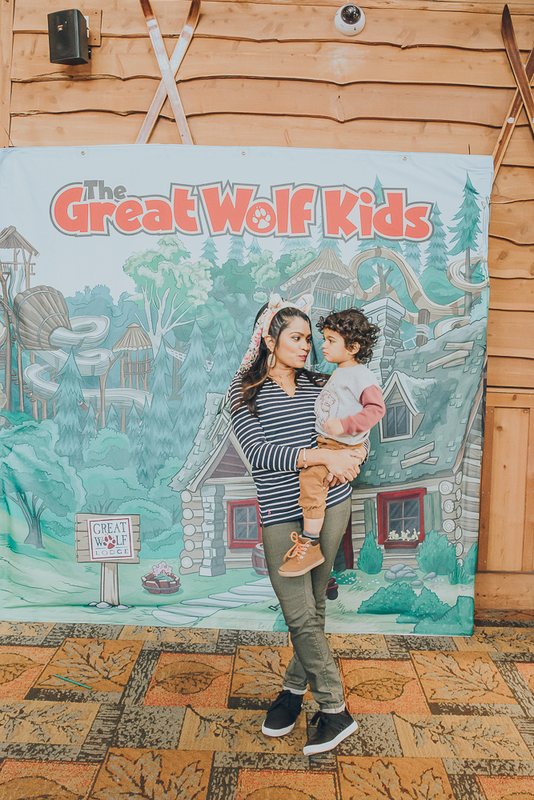 For more information on Great Wolf Resorts and its brands of indoor water park resorts, check out Greatwolf.com. 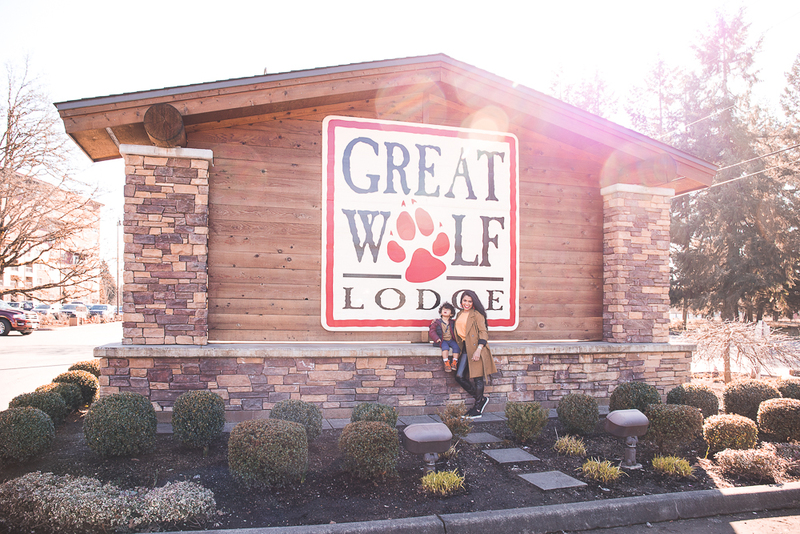 P.S: From time to time they also have great discounts on some packages so be sure to check it out before you book your next adventure at the Great Wolf Lodge. 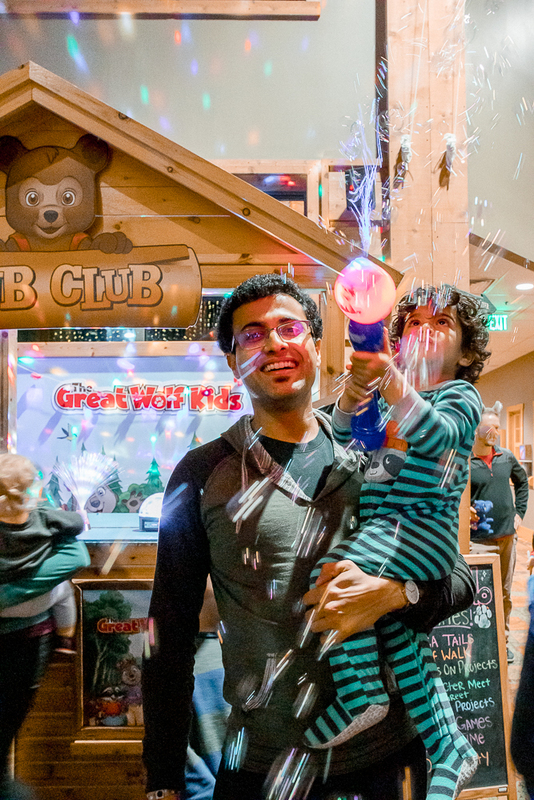 P.P.S: April is World Autism Month, and Great Wolf Lodge is teaming up with Autism Speaks by pledging to “go blue” in support of a more inclusive world for people with autism and their families through a month-long Blue Wolf Ears fundraising campaign. Throughout April, the family-friendly indoor water park resort will offer a blue version of the brand’s signature wolf ears, available to guests for a minimum $5 donation to Autism Speaks. A limited-edition collection of 10,000 blue wolf ears were made for this event and will be available for purchase at all 16 of the company’s U.S.-based resorts.